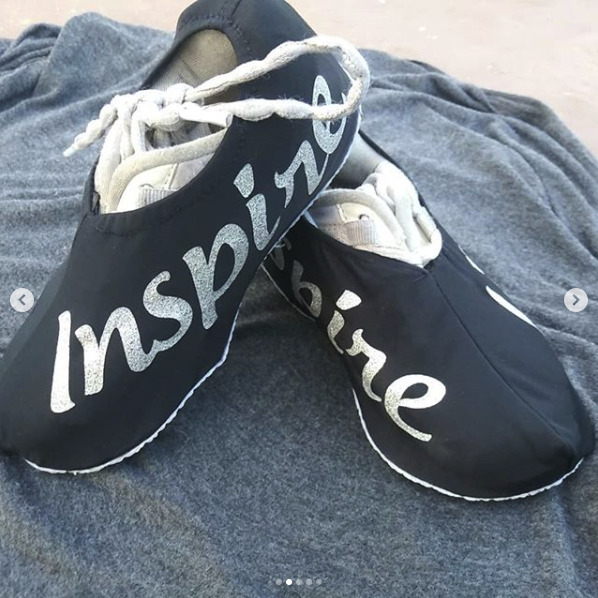 These cheer shoe covers are inspired by YOU! 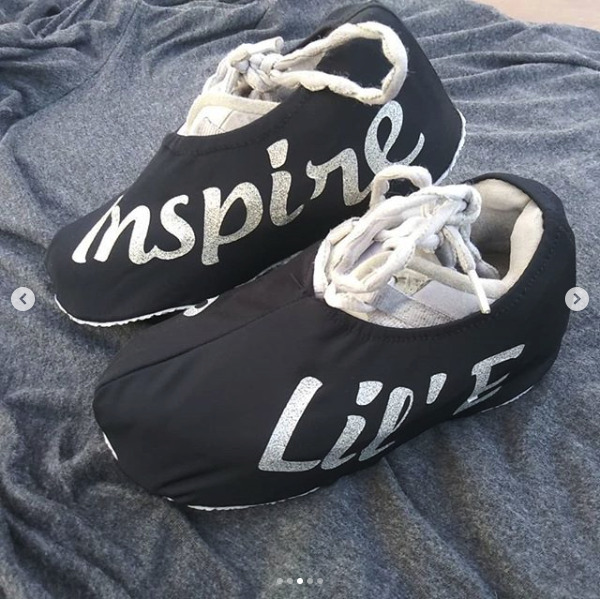 You can choose the words that inspire you and we'll fuse them with stretchable vinyl. 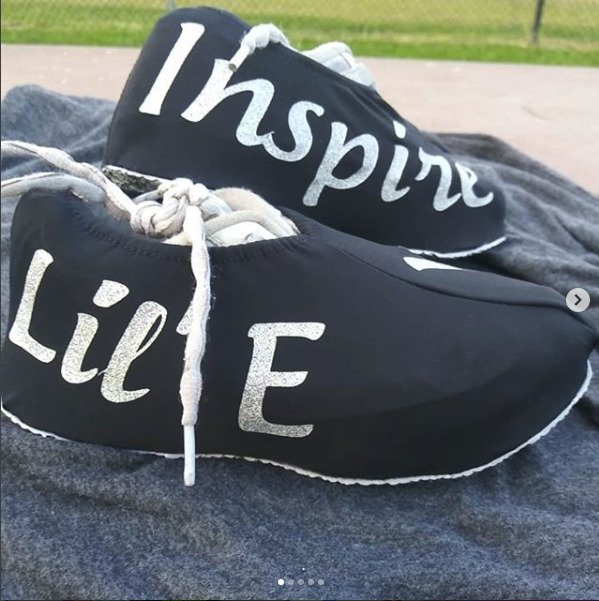 Many color options for shoe covers & lettering. Shown without bows, bows included no extra charge!